Are you ready to begin your journey of selling online? If so, the largest part of your journey will be figuring out which wholesale dropshipping suppliers to use. The great news is that there are plenty of options. In this post, I will highlight five resources that you may want to explore further. 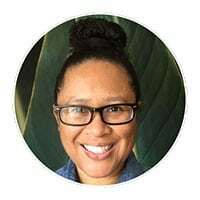 These resources are ideal for dropshipping with your own store or for dropshipping on eBay, Amazon, or other eCommerce platform. The dropship model is one of the lowest cost and lowest risk online businesses that you can start. Like any other type of retail business, you buy products at a low price and sell them at a higher price. The big difference with dropshipping is that you do not need to buy any inventory up front which means you do not tie up your cash in products that may or may not sell. You also do not have to worry about paying any storage fees or storing products in your home. The only thing you have to do is locate your wholesale dropshipping suppliers, place their products in your store, and sell them for a higher price. When customers buy products from your store, you pass along payment and their shipping information to your suppliers. The suppliers then ship the items to your customers for you. Your profit is the difference in price between what you charged the customer and what the suppliers charged you. The biggest challenge for a new dropshipper is figuring out what they want to sell and who to source products from. It is not only important to find products that are going to sell well but to also find suppliers that are trustworthy and reliable. 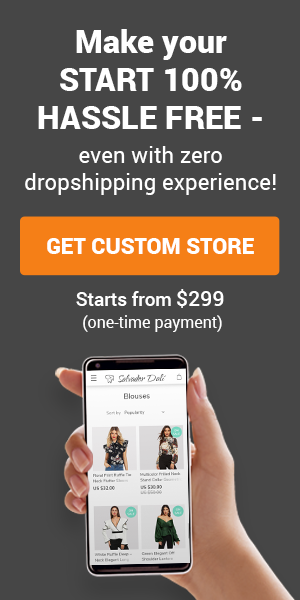 A good way to do this is by searching a wholesale dropshipping directory. Good directories help to cut down on fraud as they verify suppliers to ensure high-quailty products and legitimacy. A dropshipping directory is a large database of wholesale suppliers and dropship suppliers. What is great about these directories is that they have already authenticated these suppliers for legitimacy. Depending on the type of directory that it is, some suppliers pay a fee to be listed so that potential dropshippers can find them easily. 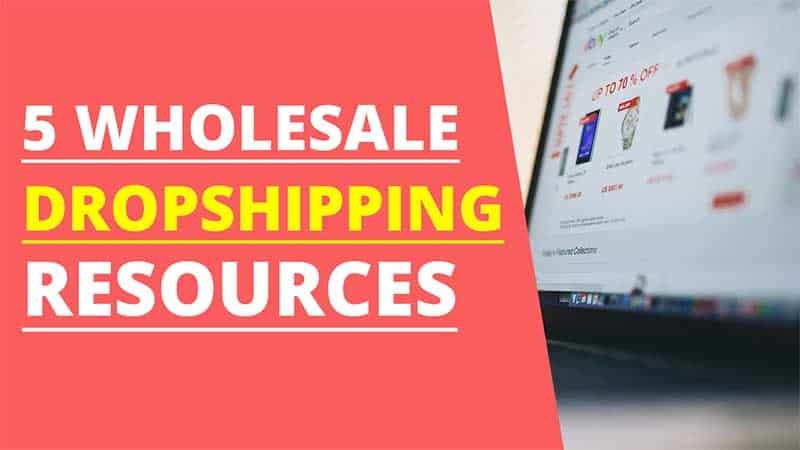 Below are five popular wholesale dropshipping directories that you can use to start your own dropshipping business. This company is based out of New Zealand and was established in 2005. What makes SaleHoo stand out among other directories is that they have one of the largest selections of goods from wholesale dropshippers in the world. Each supplier is personally verified to ensure every product is authentic and legitimate before being added to their directory. SaleHoo also has wide-ranging categories to include everything from clothing to furniture, electronics, and more. They carry millions of products sourced from over 8,000+ vetted suppliers. Becoming a member of their directory is extremly low-cost and includes tons of free information to help you with your own business. They also have awesome customer support. AliBaba is a large directory of wholesaler suppliers based in Asia. It is not the easiest directory to use. Listings are created by the manufacturers and in many cases you will not find a website and many do not speak English. There is also no guarantee that you’ll get the products that you want when you order them. 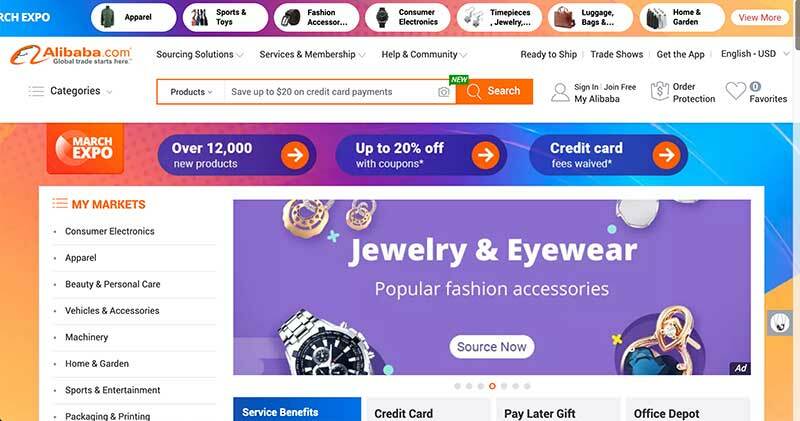 On the other hand, AliExpress, which is an offshoot of AliBaba is a directory of Chinese stores that sell the products made by the manufacturers. It is similar to Amazon in that they carry a wide-range of products. The big difference is that they offer them at wholesale prices. Using AliExpress as your dropshipping resource actually has a lot of benefits. For one, it is free to use. They don’t have any requirements or registration fees. There are no dropshipping fees. You can buy products in bulk or individually. They ship all over the world, offer ePacket shipping (a faster shipping method from China to the U.S.), most items ship for free, they also have suppliers that ship from the U.S., and they have a buyer protection program. There is also dropshipping software that integrates with AliExpress such as the AliDropship WordPress plugin or AliDropship custom store. WorldWide Brands was established in 1999 by an eBay PowerSeller named Chris Malta. It is similar to SaleHoo in that they personally vette each of the suppliers listed in their directory. They accomplish this by meeting the various wholesalers at trade shows or even visiting their factories to ensure the products being offered are quality and legitimate. 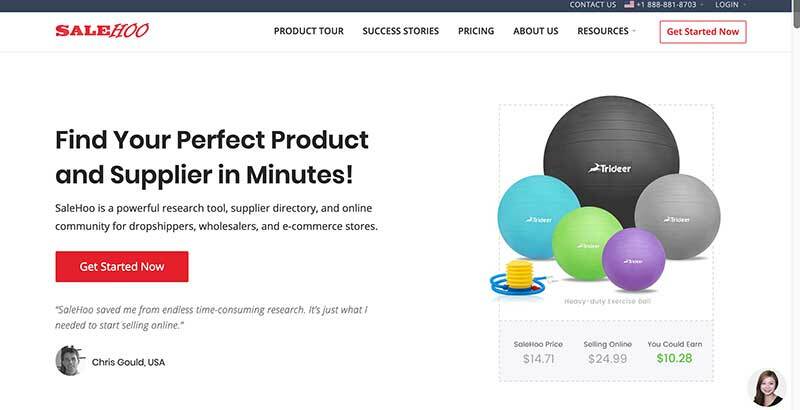 Dropshipping beginners may find that the one-time membership fee of $299 is a bit steep. It is a large expense for many who are just starting out. Another thing to keep in mind is that many of the suppliers listed have high minimum orders in order to get the lowest prices on the products. That can also be a huge barrier for new sellers. 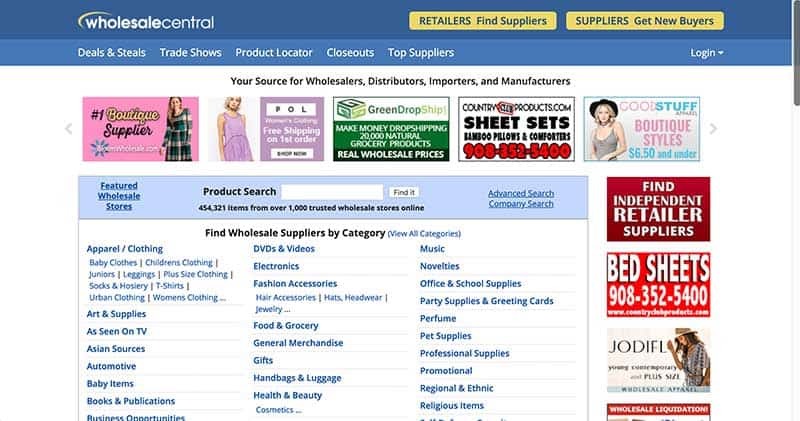 The WholesaleCentral directory is another website that has been around for many years. What is nice about this directory is that it is free to search and contact suppliers. 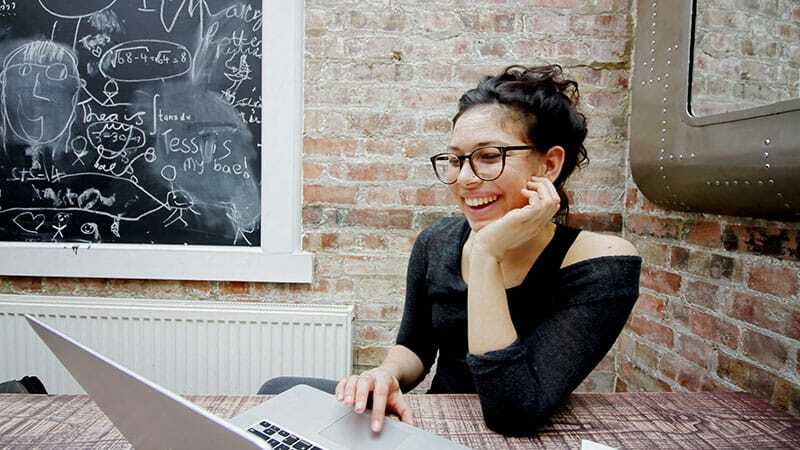 However, it does require more work on your part in that you have to reach out to the different suppliers in order to find the opportunities you are looking for to run your own business. Overall, it is not the most beginner-friendly directory. 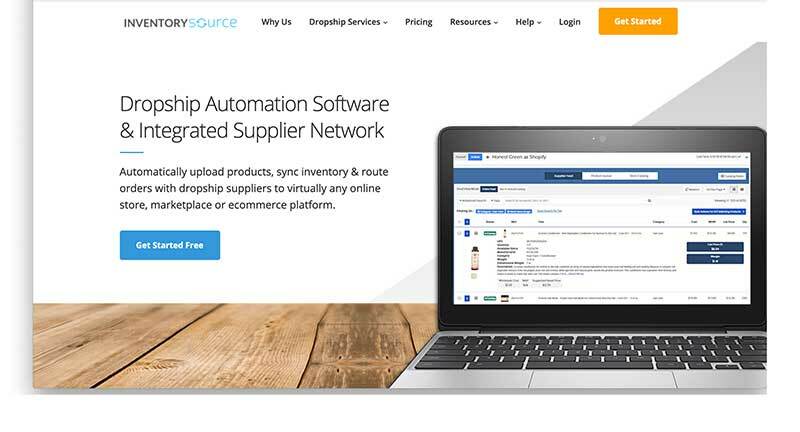 What makes Inventory Source stand out amongst other wholesale supplier directories is that it is also a dropship service software. They integrate with a majority of major eCommerce platforms such as Shopify, WooCommerce, BigCommerce, and more. They carry over a million products from over 100 suppliers. Their software enables you to import products into your store with a click of a button. Some things to keep in mind with Inventory Source is that you have to set up reseller accounts with each supplier that you choose. The fees can also be a bit high for someone just starting out. However, it is a great service if you want to easily manage multiple suppliers in one place to integrate into your store. What is the Best Way to Dropship? There are numerous places in which you can sell your items as a dropshipper. 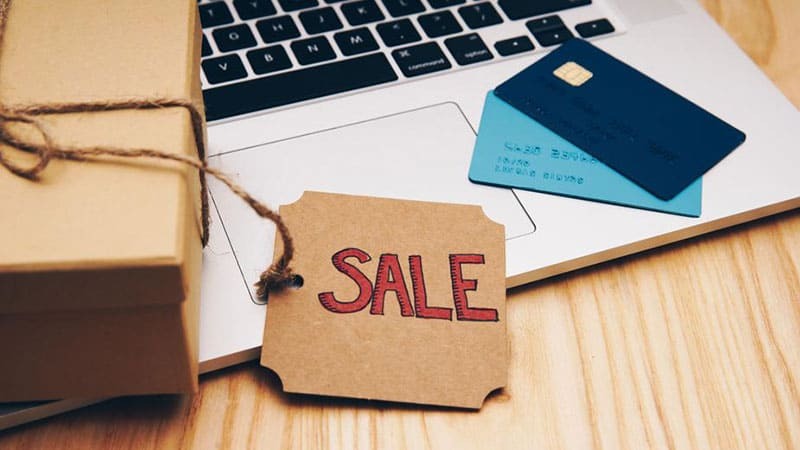 You can sell on platforms such as eBay, Amazon, Etsy, and more. However, you may eventually become fed up with fees, slow sales, restrictions, and more. When I sold on eBay for example, it was difficult to make many sales due to the competition on the platform. The fees also added up quickly and ate into profit margins. I was also tired of being held hostage by the seller rating. One negative review can drop your percentage down which can affect sales. This is why many dropshippers opt to open their own online store. Out of the options above, AliDropship and WooCommerce do not have any recurring monthly software fees. 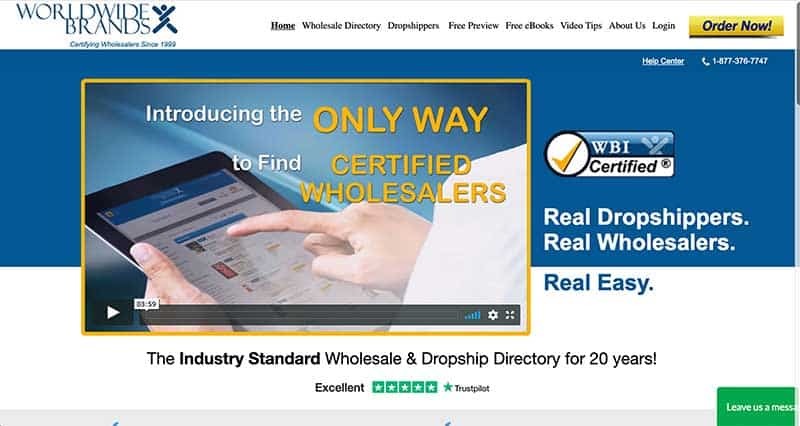 Using wholesale dropshipping supplier directories is a fast and easy way to find legitimate dropshipping suppliers for your store. It helps to prevent fraud and helps to ensure that you are finding the highest-quality products and most reliable suppliers. Is there a directory that you use and like? Leave your feedback in the comments below.